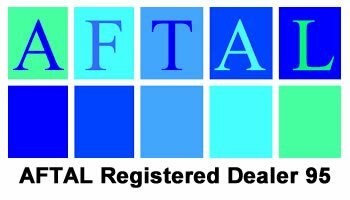 The “Autograph Fair Trade Association Limited” (AFTAL) is a non-profit making body run for the benefit of its members and the general public, with a view to ensuring that the members can be relied upon to be trustworthy and duly qualified to perform their respective duties. AFTAL are working together with the Police, Trading Standards, and Customs and Revenue officers to monitor and help stamp out the ever-growing problem of non-authentic signed memorabilia being sold and distributed throughout the UK. Click the image to read more about A.F.T.A.L. I am a dealer Number RD342 of the U.A.C.C ie Universal Autograph Collectors Club and abide by their rules and ethics. Aaron Lennon is a British professional football player. He was born on 16 April 1987 in Leeds, England. He began his ..
Llewellyn Charles "Alan" Curbishley (born 8 november 1957, forest gate, essex) is an english former football player and ..
Alan Patrick Mullery mbe (born 23 november 1941, notting hill, london) is a former english football player and manager. ..
Alan Shearer obe, dl (born 13 august 1970) is a retired english footballer. He played as a striker in the top level of e..
Alexander Cyril "Alex" Stepney (born 18 September 1942) is a former English football player who was Manch..
Alan James Ball, jr., Mbe (12 may 1945 – 25 april 2007) was a professional english footer and foot club manager.He was t..
Andrey Sergeyevich Arshavin (russian: born 29 may 1981), also known as shava, is a professional footballer who plays as ..
Andrey Sergeyevich Arshavin (born 29 may 1981), also known as shava, is a professional footballer who plays as a forward..
Andrew Declan "Andy" Keogh (born 16 may 1986) is an irish footballer who plays as a striker for championship club millwa..
Archibald "archie" gemmill (born 24 march 1947 in paisley, renfrewshire) is a scottish former footballer, most famous fo..
Arsène wenger, obe, (born 22 october 1949) is a french football manager and former player. He has been the manager of ar..
Ashley Simon Young (born 9 july 1985) is an english footballer who plays as a winger for manchester united and the engli..
Barry Ferguson mbe (born 2 february 1978) is a scottish footballer who plays as a midfielder for blackpool.Ferguson has ..
William John "Billy" Bremner (9 december 1942 – 7 december 1997) was a scottish professional footballer, most noted for ..
Robert "Bob" Primrose Wilson obe (born 30 october 1941 in chesterfield, england) is a former scotland international foot..
Sir Robert "Bobby" Charlton CBE (born 11 October 1937) is an English former football player, regarde..
Robert Frederick Chelsea "Bobby" Moore, obe (12 april 1941 – 24 february 1993) was an english footballer. He captained w..
Bruce David Grobbelaar (born 6 october 1957 in durban, south africa) is a former football goalkeeper and manager.He play..
Bryan Robson obe (born 11 january 1957) is an english football manager and a former player. He is best known for playing..
Cameron Zishan Rana-Jerome (born 14 august 1986) is an english footballer who plays for stoke city as a striker. He also..
Carlos Alberto Tévez (born Carlos Alberto Martínez; 5 February 1984) Is An Argentine Professional Footballer Who Plays A..
Christopher Edmund "Chris" Kirkland (born 2 may 1981) is an english footballer who plays as a goalkeeper for sheffield w..
Christian Eduard Dailly (born 23 october 1973) is a scottish former professional footballer. He was a versatile player, ..
Christian Karembeu (born 3 December 1970) is a retired French international footballer and the current Strateg..
Christophe Didier Berra (born 31 january 1985) is a scottish international footballer who plays as a centre back for foo..
Colin Appleton (born 7 march 1936 in scarborough) is a former footballer who played as a wing-half. Appleton began his c..
Craig Douglas Bellamy (born 13 July 1979) is a Welsh former footballer. Bellamy began his career with Nor..
James Philip Milner (born 4 january 1986) is an english footballer who plays as a central midfielder or a winger for pre..
Darren Barr Fletcher (born 1 february 1984 in edinburgh) is a scottish footballer who plays as a central midfielder for ..
Darren Michael Potter (born december 21, 1984) is an english-born irish footballer who plays for sheffield wednesday as ..
David Robert Joseph Beckham, obe (born 2 may 1975) is an english footballer. He has played for manchester united, presto..
David Robert Joseph Beckham obe (born 2 may 1975) is an english former footballer. He has played for manchester united, ..
David Fairclough (born liverpool, 5 january 1957) is a retired english footballer, most famous for playing for liverpool..
David Desire Marc Ginola born 25 january 1967) is a french former international football player who has also worked as a..
David Anthony O'Leary (born 2 may 1958) is an irish football manager and former player. His managerial career began at l..
David Josué Jiménez Silva (born 8 january 1986) is a spanish footballer who plays for manchester city and the spanish na..
Anderson Luís De Souza, Oih (born 27 August 1977 In São Bernardo Do Campo, Brazil), Commonly Known As Deco, Is A Brazili..
Nélson De Jesus Silva (born 7 October 1973), Better Known Simply As Dida, Is A Brazilian Footballer Goalkeeper Who Curre..
Diego Armando Maradona Franco (born 30 October 1960) is an Argentine former footballer. He has served as a man..
Dimitar Ivanov Berbatov (bulgarian: born 30 january 1981) is a bulgarian footballer who plays as a striker for fulham. H..
Donald George 'Don' Revie, obe, (10 july 1927 – 26 may 1989), was an english footballer who played for leicester city, h..
Aston Villa Youth Player, Now TransferredAutograph Comes With Certificate Of Authenticity.I Am A.F.T.A.L (autograph Fair..
Edwin van der sar oon (born 29 october 1970) is a dutch former footballer who played as a goalkeeper for ajax, juventus,..
Emile William Ivanhoe Heskey (born 11 january 1978) is an english footballer who plays for newcastle jets as a striker. ..
Emlyn Walter Hughes, obe (28 august 1947 – 9 november 2004) was an english footballer who captained both the england nat..
Tony Woodcock jamie Redknapp les Ferdinand terry Venables john Barnes dennis Wise trevor Francis graeme Le Saux .. The England National Football Team represents England in football and is controlled by the football association, the gov..
Eric Cantona is a former French international football player and actor. He was born on 24 May 1966 in Marseille, France..
Eusébio Da Silva Ferreira, Gcih, Gcm (portuguese : Born 25 January 1942), Commonly Known Simply As Eusébio, Is A Retired..
Fernando José Torres sanz (born 20 march 1984), nicknamed el niño (the kid in spanish), is a spanish footb..
Francis "Frank" McAvennie (born 22 november 1959 in glasgow) is a former scottish football striker best known as a playe..